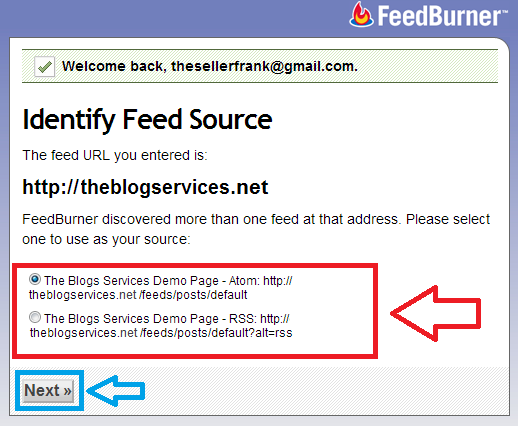 The easiest way to receive latest posts from your favorite blogs is to subscribe to their RSS feed readers such as Google Reader, Bloglines, NetVibes, and etc. This has been a practice of so many bloggers around the world who have dedicated their time to organize their blogs. 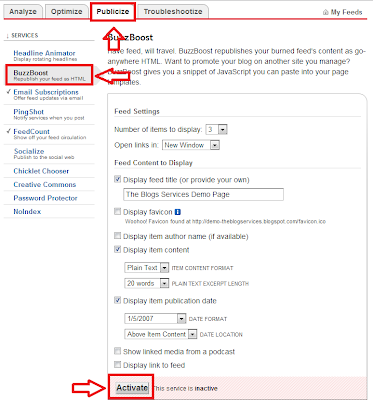 RSS simply means Really Simple Syndication, for it retrieves the latest content posted from the sites you are interested and pulls them into your feed reader where they can read them all in one location rather than visiting each blog post separately. 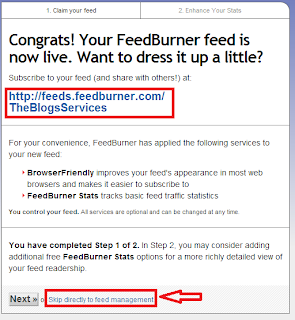 So, adding your own RSS feeds on your site will surely invite readers to read your blog post thus increasing your blog traffic. We cannot omit this desire by every blogger because increasing blog traffic is the key to more successful internet marketing and money making. 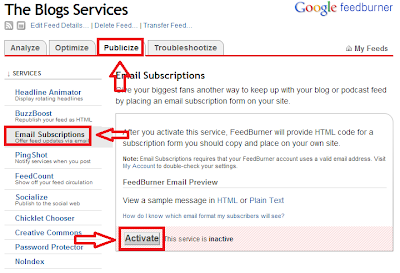 Adding subscription box powered by rss feed is very useful to add on your site for your readers to subscribe and get updated with your latest articles. 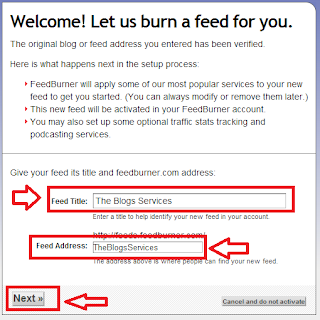 On this tutorial I will teach you on how to set up your RSS Feed for your blog or website. Your time spent on this site is not wasted for you will surely learn a lot of things, so keep your heart and mind open. 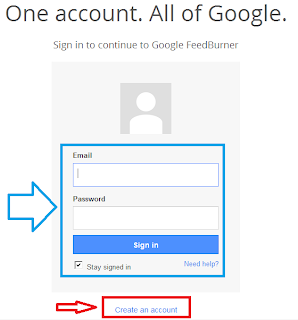 Step 3: You will redirected on the page that you will select what type of Feed you want, you may choose either of the two options same as the image shown below, then click "Next"
Step 4: Select a title for your RSS FEED, this will be your username for your RSS Feed. 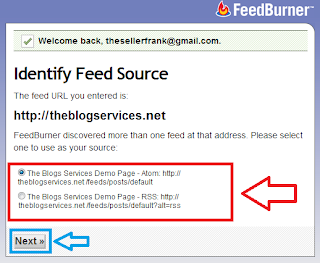 Step 5: The page will show that you successfully created your RSS Feed together with your RSS Feed link same as the image shown below, then click "skip directly to feed management"
Step 9: Once you are done with the settings above you may now access your rss feed link and you may use this for adding social widgets on your blog or subscription box on your site. 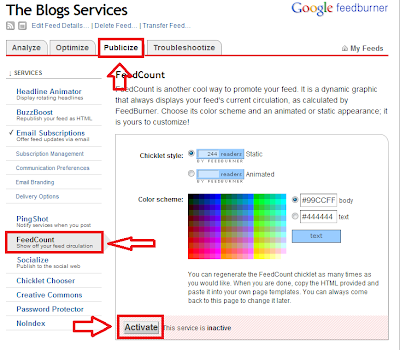 awesome guideline about the RSS with blog. 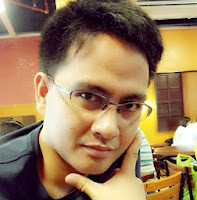 Great for that which is new user and they want to use blog.